French food is well prepared and offered at a reasonable price. Exceptionally gracious, warm and attentive by owners Gaspard and Madeleine Caloz. Recommended For: Diners who enjoy good French food with old world ambiance, and warm, festive, unpretentious service, at a reasonable price. Not Recommended For: Diners who prefer more complex French food in a more formal setting. Recommended dishes: When available, Red Snapper Dijonnais; Duck a l'Orange; and Steak au Poivre Pommes Frites. Madeleine's Petit Paris is a French country restaurant located in the residential area of Northvale. 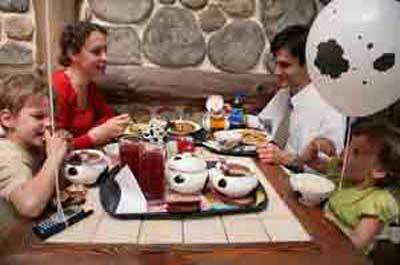 The restaurant is family owned and operated by Chef Gaspard Caloz, his wife Madeleine, and their son Francois. Madeleine oversees the dining room with gracious warmth and attentiveness. assists in managing the business with great pride. The interior with seating for 75 diners, has well-spaced tables in two dining areas with a slightly dated decor of blue and white patterned walls, a cozy fireplace, and a small, quiet bar. Tables are candlelit and set with white table linens. The ambiance is "old-world" French and is popular with the over fifty aged diners. Chef Chef Gaspard Caloz has an impressive culinary background with having been named the Chef of the Year by American Culinary Federation (A.C.F.) and honed his skills at The Golden Spoon in Philadelphia, and Copa d'Oro in Rome. Their son, Francois, is a graduate of Johnson & Wales culinary school. Madeleine's Petit Paris is not your typical pretentious French Restaurant. On occasion both Chef Gaspard and Madeleine have been known to sing a love songs in the dining room with Madeleine yodeling. During the Holiday season they have made appearances in the dining room singing Christmas carols in English French, Spanish. They offer a Prix Fixe dinner menu on Saturdays and Sundays (including Prix Fixe Brunch). 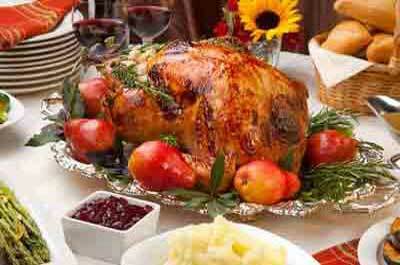 They are open Thanksgiving Day serving a Thanksgiving Buffet and an a la carte dinner. They are also open on Easter serving a brunch. 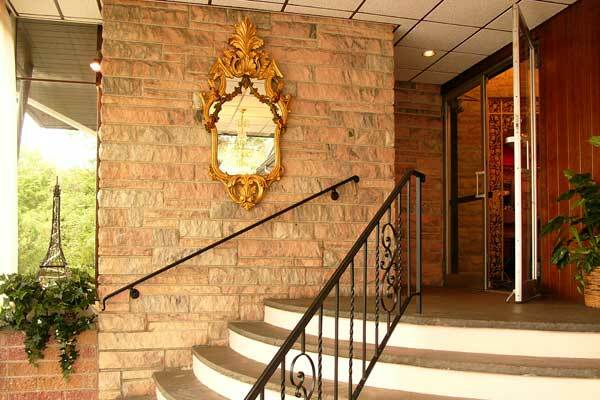 They can accommodate private parties in two banquet rooms for between 30 to 140 guests.